We want you to learn as much as you can about starting your own store. That’s why we’ve compiled a number of resources that can further your retail education. 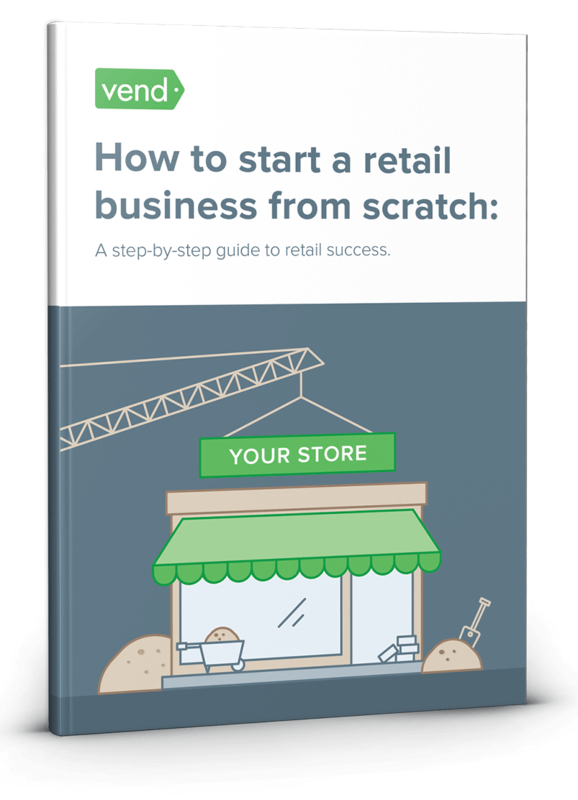 The links in this roundup, combined with the info in this guide, will bring you several steps closer to setting up your retail shop. Time to Hire a Store Manager? While you may already know the type of store you want to have, it wouldn’t hurt to learn about the other “breeds” of retail stores. Not only will it increase your understanding of retail in general, it can also give you a better idea of how you can position and market your business. These retailers focus on selling merchandise in a specific category. Examples of these types of establishments include office supplies stores (ex: Staples), toy stores (Toys R Us), or sporting good stores (Sport Chalet). Pros: Specialty stores have considerably more depth in the class of product they specialize in, and this enables them to draw enthusiasts who can’t find what they’re looking for at general stores. They are also in a better position to provide higher quality of service and offer expert advice to shoppers. For these reasons, specialty store customers are more willing to pay premium prices. Cons: The success of a specialty store greatly depends on the state of its specific market. So if say, the gaming industry suddenly hits the rocks, then there’s a good chance that stores specializing in video games and consoles would suffer as well. Specialty stores cannot be as nimble as general stores, and would find it difficult—and costly—to pivot into a different market. These stores are typically located in small towns or rural areas. They sell a variety of merchandise in different categories to cater to the general needs of the town’s residents. Pros: General stores can attract all kinds of customers thanks to the variety of their merchandise. And since they carry various products, these shops don’t have to rely on a single industry to thrive. Cons: Because they’re usually located in small, rural areas, general stores tend to have a limited customer base. They also face serious competition from department stores, convenience stores, and big box retailers. Convenience stores are establishments that people can turn to at any time (even at the wee hours of the morning) they need basic day-to-day items. These are small corner stores that have extended operating hours and carry everyday items (toiletries, groceries, etc). Examples of convenience stores include 7-Eleven, Family Mart, or Ministop. Pros: Similar to general stores, convenience stores carry various items, enabling them attract a wide range of customers. And because of their extended operating hours, these stores draw in busy consumers and afterhours crowds who don’t mind paying higher prices for the price of convenience. Cons: Because they’re usually small and are open late, convenience are more prone to robberies. Boutiques are a smaller and more specialized version of specialty stores. They focus on one niche or aspect of a larger industry. While boutiques are usually small and independent, the term can also be used to refer to chains that specialize in specific markets. For instance, Soma Intimates is a popular store that concentrates on lingerie, which is part of the larger apparel industry. Pros: Boutiques have more depth with their merchandise and they are able to provide higher levels of knowledge and service. Like specialty shops, this allows them draw high-end consumers who are more willing to pay top dollar. Additionally, because boutique store employees only have to learn about one type of product, they’re relatively easier to train. Cons: Boutiques operate in a small market, so it’s not going to appeal to everyone. This also means that a boutique relies heavily on its specific niche, so if its market isn’t doing well, the store could follow suit. A franchise is a type of business that’s granted a right by another company to sell its products. Merchandise and marketing collateral are typically purchased from the franchiser, and it operates under a “blueprint” set by the company. Examples of franchises include McDonald’s, UPS store, and 7-Eleven. Pros: A franchise is essentially a turnkey business; the plans, materials, and merchandise required for it to operate can usually be obtained from the franchiser. And if a franchise is already a well-known brand, its proprietors will have an easier time establishing themselves, since they won’t have to worry about building an identity or reputation. Cons: Most franchises operate under a strict agreement, so owners won’t have the freedom to run the store on their own terms. Starting and running a franchise can also get pretty expensive. Proprietors would need to shell out quite a bit of capital to cover franchise fees, royalties, opening costs, and more. Not to mention, some companies require franchisees to pay a certain percentage of their revenue. Similar to a franchise, a dealership is a business that’s authorized by a company to sell its products. One key difference is that dealerships can have more flexibility with how they run the business. Most dealerships don’t operate under an exclusive agreement with their company, and they’re allowed to carry other brands in their store. Car dealerships are perhaps the most common example of this type of business, but the model can also be applied to other products, such as electronics, appliances, and more. Pros: The costs to become a dealer are relatively lower, as companies don’t require too many licensing or royalty fees. Most of the startup costs that you’ll incur will come from actually purchasing the merchandise. Similar to franchises, owners of dealerships that are under well-known brands find it easier to build their reputation and won’t have to educate consumers on what they’re all about. Cons: Running and maintaining a dealerships could get expensive as many companies require owners to meet annual purchases and complete certain requirements in order for them to maintain their dealership status. These are temporary shops that “pop up” in various locations, such as vacant retail spaces, malls, and even airports. Pop-up shops come in many forms, including booths, kiosks, store spaces, trucks, and more. Target’s Christmas pop-up in New York or Nike’s Fuel Station in London are great examples of retailers in the pop-up space. Pros: Pop-ups are great for testing concepts, markets, or products. They’re relatively easier and faster to setup (it takes some merchants less than a week) and people looking to venture into pop-up retail will find that there are a lot of cost-effective ways to make it work. Cons: A pop-up store isn’t as established as a traditional brick-and-mortar shop. It doesn’t have a permanent address and it’s not on Google Maps so it can be difficult to raise the awareness and “findability” of the store. Additionally, pop-up stores that come in the form of trucks or booths have limited space, so customers can find them cramped or difficult to shop in. If you made it this far then congratulations; you’ve soaked up enough information to start a brick-and-mortar store. Now put your knowledge into good use by going out there and taking action. Good luck and happy retailing!